This documentation concerns the OHIF framework itself and its three example applications: the OHIF Viewer, Lesion Tracker, and the Standalone Viewer. The Open Health Imaging Foundation intends to provide a simple general purpose DICOM Viewer which can be easily extended for specific uses. 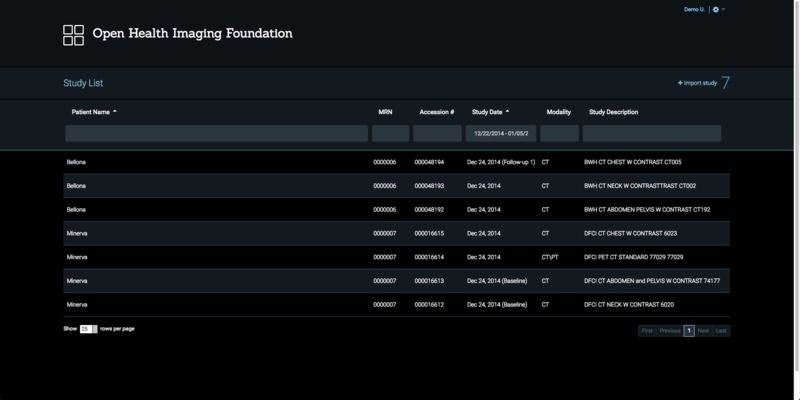 The primary purpose of the OHIF Viewer is to serve as a testing ground for the underlying packages and the Cornerstone family of libraries. The Lesion Tracker is designed to facilitate quantitative assessments of tumour burden over time. It is similar in scope to the ePAD Imaging Platform (https://epad.stanford.edu/), developed at Stanford Medicine. The solution provides a study list and other resources for connecting to PACS and other Image Archives through standard communication approaches (DICOM Web, DICOM Messages). The Standalone Viewer offers only the client-side portions of the OHIF Viewer with the Study List pages removed. This single-page viewer can be hosted as a static site (e.g. on Amazon S3, Azure Blob Storage, or Github Pages), and easily integrated with existing back-end DICOM storage systems. 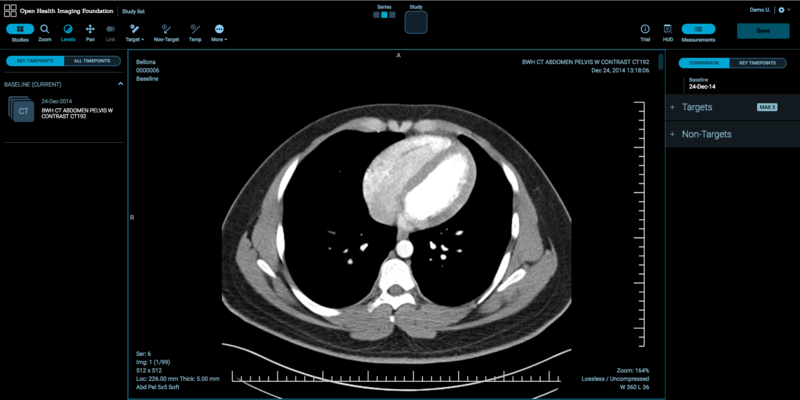 Alternative Cornerstone Image Loaders can be included to allow your viewer to support non-DICOM objects (e.g. PNG, JPEG).